Eleanor V. Howell has been named dean of Samford University's Ida V. Moffett School of Nursing effective July 1, 2014. For the past 11 years, Howell has served as dean of Creighton University's College of Nursing in Omaha, Neb. The selection follows a national search to replace Nena F. Sanders, who has served as dean since 2001. Sanders has served as both nursing dean and vice provost of Samford's new College of Health Sciences since the college was announced in February 2013. "Dr. Howell's extensive administrative experience uniquely qualifies her to position the Ida V. Moffett School of Nursing for future success, while continuing to perpetuate Mrs. Moffett's vision for excellence in nursing," said Sanders. "Dr. Howell's philosophy of nursing is very much aligned with the foundational values of Ida V. Moffett School of Nursing. In addition to valuing academic excellence, she is committed to quality patient care that is provided by clinically competent nurses with care and compassion. I am confident that the Moffett Legacy will continue under her leadership." During her tenure as dean at Creighton, Howell expertly led numerous academic innovations in the College of Nursing including establishing Nebraska's first doctor of nursing practice program and the Clinical Nurse Leader (CNL) program, for which Creighton was one of only a handful of national pilot programs. The school also developed a health screening collaboration with Omaha parochial schools and a number of other community and clinical partnerships. Like Samford, Creighton's College of Nursing includes baccalaureate, masters and doctoral programs. Prior to assuming her position as dean at Creighton, Howell served as associate dean for academic and clinical affairs, responsible for undergraduate and graduate nursing programs on Creighton's campuses in Omaha and Hastings, Neb. Howell also directed the master's in health services administration program at Creighton from 1998 to 2000, and was a core faculty member in the Center for Practice Improvement and Outcomes Research. 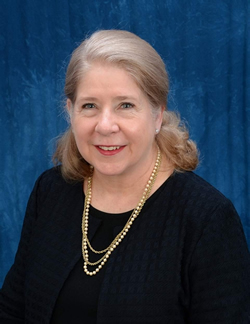 Howell previously served as associate professor and coordinator of special projects at Auburn University's School of Nursing and on the faculty at University of Alabama at Birmingham School of Nursing. Howell is actively engaged in a number of national and regional professional service organizations. She is a member of the American Association of Colleges of Nursing Futures Task Force and she previously served on the organization's board of directors. Howell serves as a Commission on Collegiate Nursing Education on-site evaluator and team leader, and she is a consultant for the Higher Learning Commission of the North Central Association. She has participated in global curriculum reform and numerous international nursing education and management seminars. A Georgia native, Howell received her bachelor of science in nursing from Medical College of Georgia in Augusta and her master of science in cardiovascular nursing from the University of Alabama at Birmingham. She also holds a doctor of philosophy degree in administration-health services from University of Alabama at Birmingham. For more than 90 years Ida V. Moffett School of Nursing has prepared graduates with the wisdom, skills and courage to make the lives of people better, Sanders said. With pass rates on certification and licensure exams consistently near 100 percent, graduates from Ida V. Moffett School of Nursing have earned a distinguished reputation as highly skilled and compassionate nurses who seamlessly enter the workforce, ready to make a difference in the lives of patients and within the profession. "I'm honored to serve as dean of Samford University's Ida V. Moffett School of Nursing, and excited to return to Birmingham," said Howell. "The quality and achievements of the faculty, staff, and alumni, as well as their engagement in interprofessional education, make this move a wonderful opportunity. The preparation of exceptional professional and advanced practice nurses, and the outstanding service to populations at home and abroad have positioned the School to lead in mission-relevant scholarship and to collaborate on practice and education initiatives as part of the team in the College of Health Sciences. I look forward to building this future together."